Reviews of Husqvarna 440e and 440 Chainsaws. Best Small Chainsaw? In fact, whereas you usually find a lot of the popular video reviews of chainsaws tend to be for the bigger more powerful models, many chainsaw buyers who need something for occasional use, or as their ‘go-to’ model for day-to-day jobs around the farm or ranch will get the best results from something lighter and easier to use. Husqvarna 440 vs 440e What Is The Difference? How good is the power and performance of the Husqvarna 440e? What size is the bar and chain that comes with the 440e? How easy is the tool-free chain tensioner to use? What are the safety features on the 440 e-series chainsaws? Is the 440e loud or heavy when compared to other chainsaws? How easy is the Husky 440e to start? What about the air filter and air injection system on this model? What other features does the 440e have? 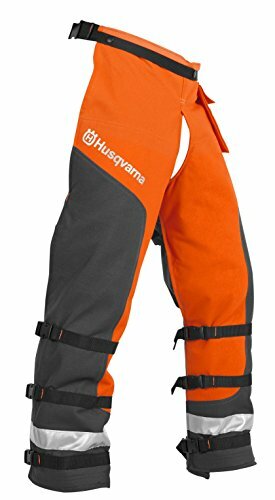 What protective gear should I have? What do the consumers have to say about the Husqvarna 440e? The 440 and 440e fit right into that sweet spot very nicely with a 40.9cc 2-Stroke Xtorq gas powered engine, dry weight less than 10lbs and ability to take a bar and chain from 13 to 18 inches. That makes them an ideal candidate to review to see if they really are up to the job and we’re going to do that right here, so keep reading. It may not have escaped your notice that this review covers two models, but we are really only going to mostly talk about one, the Husky 440e. As y﻿﻿ou wi﻿﻿ll see from the specs and features below, ﻿﻿﻿﻿﻿﻿﻿the two chainsaws are almost identical﻿﻿ apart﻿﻿ from one major difference; the e-series model has tool free chain tensioning whereas the 440 requires the use of the included T-wrench. We have also found that even though the standard 440 is still a current model at the time of writing, it is becoming harder to find in the stores as the newer Husqvarna 440e becomes more popular. Now that we’ve covered the main features and differences between the two models, let’s take a closer look at what this means when actually using the 440e in the real world. As mentioned above, we’re going to refer mainly to the e-series model from now on but will note where there’s a difference on the 440. This chainsaw is powered by one of the Husqvarna X-Torq engines that are used in many of their 2-stroke (or 2-cycle if you prefer) power tools. These are great engines with a long life and have been designed to cut fuel consumption as well as reduce harmful emissions, making them CARB compliant. This model has the 40.9cc version with a power rating of a healthy 2.4hp and a top cutting speed of 9,000rpm. That’s actually a lot of usable power for a small engined machine and when used properly, this saw can cut through most stuff you throw at it. We’ve even seen it used to cut through an 18” log in under a minute without getting bogged down, which is pretty impressive. Like most chainsaws, this uses a 2-stroke air cooled engine as it provides the best power to weight ratio for outdoor powered hand tools and that means it uses a gas and oil mix for fuel. The mix used in this saw is the usual 50:1 gas to oil as for other X-Torq engines and it’s important to use good quality unleaded gas with an 87 octane rating at the very least. In fact, we recommend you stick to an 89 or better octane rating to be on the safe side. Another tip for these engines is to make sure you run in the engine properly when new. This basically means not running it at continuous high speeds for the first 10 hours or so of usage. Seems a bit of a bind but it pays dividends later on by increasing the engine life considerably. It does look as though the fuel tank on this model is a little on the small side at just 0.78 US Pints (about 12.5fl oz or 0.37 litres) but due to the smaller engine size, users are reportedly getting around 2 hours use out of it, so doesn’t seem like anything to worry about! There is also a handy little window on this model to see how much fuel is left in the tank which helps a lot. Even though these are relatively small machines, they can still do a lot of damage. Great care should be taken when using them and always ensure that you are using the best protective equipment that is available to you. At first glance, it looks as though there is a difference here between the 440 vs the 440e as the former comes with an 18” bar whilst the later has a 16” bar. You can, however, fit a 13, 15, 16 or 18-inch bar and chain to either of these models so it’s really simply a matter of which size it comes with that is the difference. All the chains and bars are the same 0.325” pitch and slim 0.050” gauge and come as a good quality, low kickback type that will serve you well as long as it’s kept sharp, lubricated and tensioned correctly. We will cover the lubricating and tensioning later, but as for keeping the chain sharp, there are a couple of simple ways to tell if you need to see to this on your chainsaw. The first is to look at the size of wood chips being produced, if they are small together with lots of sawdust then that’s one sign you need to sharpen the chain. If you notice that you need to apply more pressure to get the saw to cut through the wood than normal, then that’s another. Check out the relevant section in the manual for more details and how to sharpen the chain yourself or if you prefer, take it to your local dealer to get it done. It’s a good idea to have two chains so that you always have a spare whilst one is being sharpened, just in case it takes longer than planned. As we know, the major difference between our two models of 440 is that the e-series has a system to tension the chain that does not require tools. Why is this important? Well, let’s just say if you’ve ever tried to tension the chain when half way up a tree then you might well appreciate it! The system actually works very well and most reviewers comment on how easy it is to use. To tension the chain, you just need to pull out a small handle and loosen the bar clamp, then use a thumbwheel to adjust the chain and tighten the bar clamp back up again when done. There have been one or two reviewers who have commented that when they removed the cover completely for maintenance etc., they have been unable to get the cover back on again and have given the chainsaw a very negative rating because of it. However, the reason for the problem is most likely to be that they have not followed the instructions in the manual and released the chain brake first by moving the front hand guard forward. If you have read through any of our other reviews on chainsaws you will know that we strongly recommend learning all about your new power tool by reading through the operator manual from end to end at the very least. If you are a complete novice, then it would be a good idea to also attend one of the many chainsaw handling courses run by dealers and organizations across the country. There are few more dangerous power tools than the chainsaw and it’s very easy to get yourself into a tricky situation without realizing it unless you know how to use one properly. To combat the potential dangers, manufacturers of modern saws have built in several safety features and the 440e has some of the latest to help reduce the chance of injury. One of the most important is the dual pole chain brake system that operates the brake in the event of kickback. One way it’s activated is through inertia, so when the system detects rapid movement of the blade it actuates the brake instantly. The other is through tipping the front hand guard forward by the left hand which will nearly always happen in a kickback situation. In case you don’t know what kickback is, it’s what happens when the upper quadrant of the bar tip encounters an object and the saw bounces back rapidly, usually upwards towards the operator. Neither safeguard can be relied upon to work 100% of the time as there are just too many different factors involved, so the best way to protect yourself is to learn how to handle the saw properly as we mentioned earlier. Right-hand guard - the guard at the back of the chainsaw where you grip it with your right hand has been shaped to protect it from a broken chain. It also prevents twigs, branches and other objects from interfering with your grip. Throttle trigger lockout - this device prevents you operating the throttle unintentionally. Chain catcher - a device in the clutch area that is designed to catch the chain if it jumps off the guide or snaps whilst in use. Despite recent advances in muffler technology, a 2-stroke chainsaw is always going to be pretty noisy and the 440e is no exception. It is slightly better than some other models, probably because of its smaller engine with a decibel rating at the operator’s ear of 102dB(A). However, we recommend you always wear ear defenders when using this chainsaw to protect your hearing. As we have covered further up, this machine is one of the lighter ones around for its size and power, weighing in at just under 10lbs (4.4kg) without the cutting equipment installed or fuel added. In fact, the 440 model is even lighter weighing just 9.25lbs (4.2kg) due to the simpler clutch cover. That makes both these machines ideal for light to medium duty tasks where the saw is going to be in your hand for a long time and you will certainly notice less fatigue at the end of a long day. Jobs this would be ideally suited to include limbing, bucking, pruning of all sorts and firewood duties. With the excellent Husqvarna LowVib system on this machine, you will really notice the difference when handling it compared to some other brands. The vibration dampers insulate the handles from the engine chassis and effectively cut down what is actually felt at the handles by quite some margin. The official ratings are just 3.8 m/s2 at the front handle and 4.2 m/s2 at the rear, which helps, even more, to make the 440e comfortable to handle for extended periods. Of course, you will need to keep the chainsaw well maintained for these low vibration levels to be realized, especially keeping the chain nice and sharp! You may well be wondering why this is so important and it’s a good question. Many people do not realize that continued exposure to vibration can lead to a condition known as HAVS (hand-arm vibration syndrome), more commonly known as vibration white finger. This can result in several unpleasant symptoms such as numbness, loss of feeling and changes in skin color to name just a few, so it’s vital you do as much as possible to prevent it. To help with this, besides the LowVib system you can also buy anti-vibration gloves which we will take a look at later. Like all 2-stroke machines, issues getting the darn things started can drive a person to drink sometimes! However, Husqvarna has done all they can to make this both easier and more reliable. One of their innovations is the Husqvarna SmartStart system that works by reducing the coil resistance by up to 40% making for easier cord pulls. One of the common problems when starting is flooding the engine and the manufacturer has introduced a combined stop/choke control that makes this much less likely to happen. There is no decompression valve on this model at the time of writing (although it’s rumored this will be added soon as it’s a feature of higher end models already) but there is an air purge bulb and a dedicated fuel pump which are designed to aid easy starting and according to our research, they do a pretty good job. Please make sure that you read the manual and follow the instructions closely, as many issues associated with poor starting can be avoided quite easily by using the correct procedure. Also, make sure to take note of the information around fuel, oil and ethanol etc. particularly the instructions for storing the machine for any length of time. On the 440e you will find a two-piece, easy to maintain air filter that pops out without the need for any tools. It’s simple to pull apart for cleaning and we prefer this to the foam variety that can get clogged up quite easily. Getting to the air filter can also be done without the need for tools as the main cover is secured by several plastic clips that are easy to release. That makes keeping the air filter in good order a simple and quick task, made even better by the centrifugal air injection system that stops it getting so dirty in the first place! This system uses the cooling fan to clean the air before it gets to the air filter by removing larger dust particles and debris making for longer engine and filter life. The system works really well and you will find it keeps the air filter in good shape for a lot longer than on older models without the air cleaning feature. The other thing to take care of with the chain apart from being tensioned properly and sharpening it when required is to make sure to keep it well lubricated at all times. With older models, this was not the easiest of things to do, but with modern chainsaws, it’s all taken care of with an automatic oiler. The Husky 440e has a quality automatic oiler that is set up to deliver oil to match the rate that fuel is used so that you know to fill up both at the same time. This generally works well although can be affected by environmental factors so always check that oil is still being delivered whilst in use and keep the 0.53 US Pint (8.5fl oz or 0.25 litres) oil reservoir topped up after about an hour’s use to be safe. You can quite easily check if there is oil being delivered by running the chainsaw at speed whilst pointing it at a light surface such as the top of a tree stump. After a few seconds, if the oiler is working, you should see a spatter of oil on the surface. This chainsaw has a 2-year warranty for personal, household use or 90 days if used commercially. You can extend the homeowner warranty to 4 years if you purchase 3 x 32oz cans of Husqvarna pre-mixed fuel at the same time and from the same place. Use the online product registration to record this and note that the fuel must appear on the same receipt as the chainsaw to be valid. There are both checks you should make before using the saw each time and regular checks at certain intervals but it’s important to remember that a well-maintained chainsaw will both perform better and be safer to use. All the maintenance information can be found in the manual and as we’ve said before, please read it before taking out the 440e to use. Briefly, the ‘before use’ inspection includes checking oil levels, air filter condition, chain tension, making sure the chain brake works etc. etc. The regular maintenance includes cleaning the spark plug, checking fuel hoses, and turning the guide bar amongst other things. We’ve taken a good look at most of the important features now, but there are a few extra things that are worth a mention. First up, the 440e has a three-piece forged crankshaft which is designed to increase durability. This effectively helps the crankshaft to last longer even when used for some of the most demanding jobs. This chainsaw also has some felling marks molded into the cover that helps to make precision cuts when felling a tree. Line up the marks on the cover when making the felling notch in the direction you want the tree to fall, just like sighting a gun. Use them when making the back-cut as well and with practice, you will get the tree to fall exactly where you want it. Finally, it’s worth mentioning the ergonomic front handle which has an improved grip as well as a 7o offset that helps to reduce operator fatigue. There are a few items of protective safety gear that you should not use a chainsaw without and we consider absolutely essential. We’ve mentioned some of these already and the first item on our list is a decent set of ear defenders. Exposure to the loud noise a 2-stroke engine makes can have an impact on your hearing very quickly and extended exposure could damage it permanently. The next things you should have are a hard hat and some eye protection. Rather than buy all three separately you can find safety helmets that include all of them as one unit which makes it very convenient to use. Even though the vibration damping on this model is very good, a set of quality anti-vibration gloves can also help to make sure you’re doing the most you can to prevent the dangers of HAVS. These are made especially for chainsaw use and provide additional hand protection like any heavy-duty work glove as well. You often see videos on YouTube of people using a chainsaw in shorts and flip-flops which is just plain stupid in our opinion. Some of the most common chainsaw injuries are to the legs and it’s important to protect yours using a pair of chainsaw chaps or a chap apron. If you are unsure what they can do, check out this video and prepare to be amazed . Of course, footwear is also important and some good quality work boots or shoes with non-slip soles are the best things to wear. Make sure you are not wearing any loose or baggy clothing and tie long hair back so that it cannot get caught up in the chain. 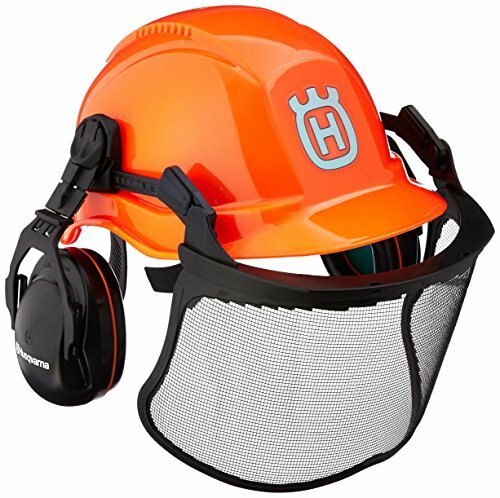 Lastly, if you’re working in a particularly dry and dusty environment, you may find some form of respiratory protection is needed as well. Check out our article on chainsaw safety tips for lots more information on using your chainsaw wisely. The 440 and the newer 440e have been around for a long time so there are lots of reviews online to look through. There are of course a wide range of experiences from the very worst to the very best some of which, especially the negative ones, you have to wonder if they are actually using the same saw or maybe have not followed the user manual correctly. Overall though from our research, we have found the general impression is positive. Interestingly more so for the 440e as despite supposedly being the same engine and so on, it seems to have far fewer reports of starting issues than the 440. Something else worth a mention which we’ve also noted in some of our other reviews is that on a few of the lower to mid-range Husqvarna models, including this one, the user manual has been designed with all the diagrams at the front which makes it very un-user friendly! We’ve no idea why they have done that but we can recommend watching the videos Husqvarna has made to help get to know your chainsaw in more easily digestible chunks and then read through the manual to get the best out of it. Our original question for this review was whether the 440/440e are some of the best chainsaws with a smaller engine for the homeowner. The answer is a definite yes and we would recommend the 440e over the 440 as the model to go for – but as always you need to make sure it matches the type of work that you will mainly be using it for. If you are a homeowner with a lot of land, or a farmer or rancher and you need a rugged, powerful chainsaw that can cut quickly through the most demanding jobs, then this not the chainsaw you need to get. We recommend you check out our article on the Best 20-inch Chainsaws for Homeowners for alternatives. However, if you have a smaller plot of land, are more of a weekend garden warrior or need a light and powerful saw that is easier to handle over a long day, then the Husqvarna 440e is going to tick all the right boxes for you. Should you decide the 440e 16” gas powered chainsaw is exactly what you’re looking for after reading our review then we have found the best deals are on Amazon right now. 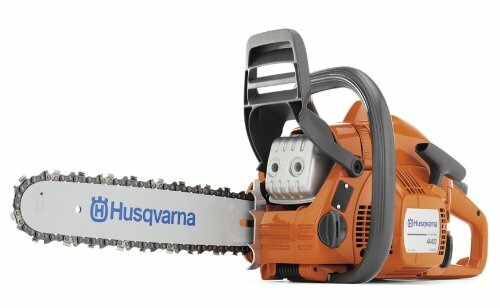 We also have lots of reviews on our site such as our one on the best medium-sized gas-powered chainsaw﻿﻿, so if you feel the Husqvarna 440e is not the model for you please take a look around and we’re sure you will find what you’re after. can get the cover back on the 440e? It sounds like you need to remove the clutch to get your cover back on. This needs a punch and a hammer to make the clutch loose. Once the clutch is off, you put the cover back on, reset the brake and then remove the cover, refit the clutch and replace the cover.